Lawful Permanent residents (Green Card holders) whose Green Card has been valid during the 5 years prior can file for US citizenship. 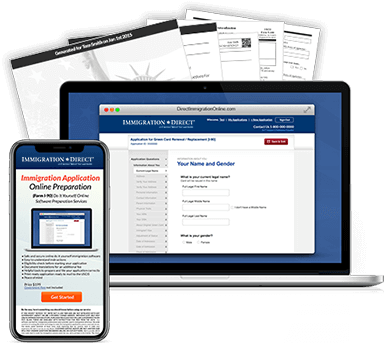 You can follow through the US immigration process to attain citizenship. If you are married to a US citizen, you may apply for US citizenship after 3 years with a valid Green Card. There are exceptions. If an applicant has served in the United States Armed Forces during war, that individual may obtain citizenship without first becoming a permanent resident if he or she was in the United States upon enlistment into the US military. A completed Form N-400 (US Citizenship Application) is the required form; it must be filed along with photos and supporting documents. Becoming a US citizen has many advantages. File today for US Citizenship, and don't wait to process your naturalization and immigration forms. Obtain citizenship for children born abroad:	If you are a US citizen and your child was born outside of the country, he or she could become a US citizen automatically.